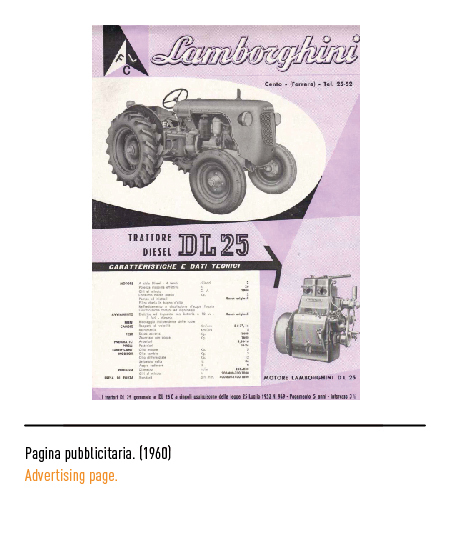 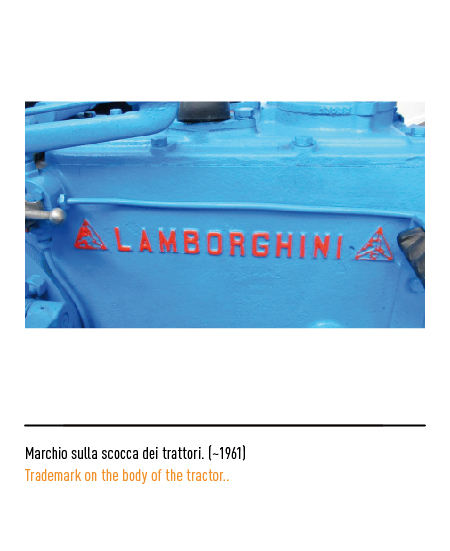 In 1948, the mechanical engineer Ferruccio Lamborghini founds a tractor-producing company in Cento (Bologna), after having purchased a big lot of military engines, residual of World War II. 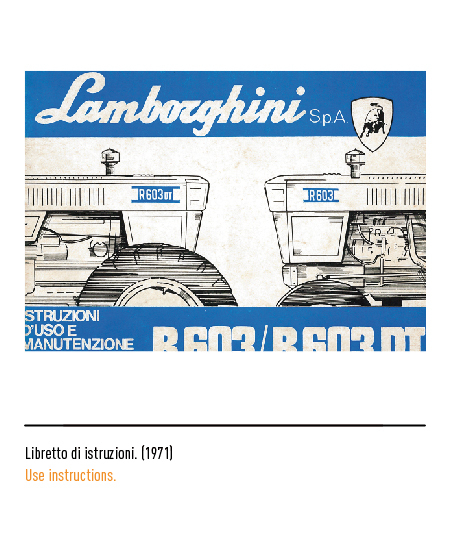 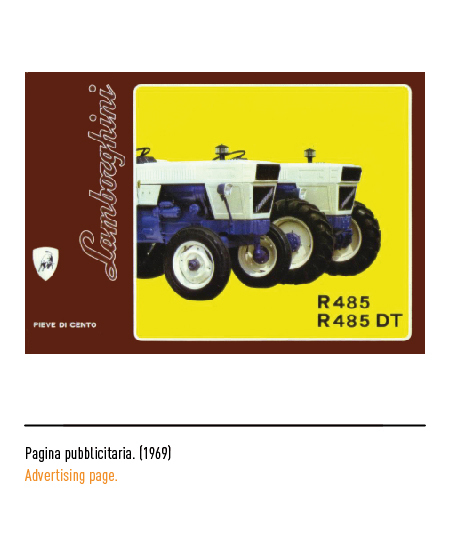 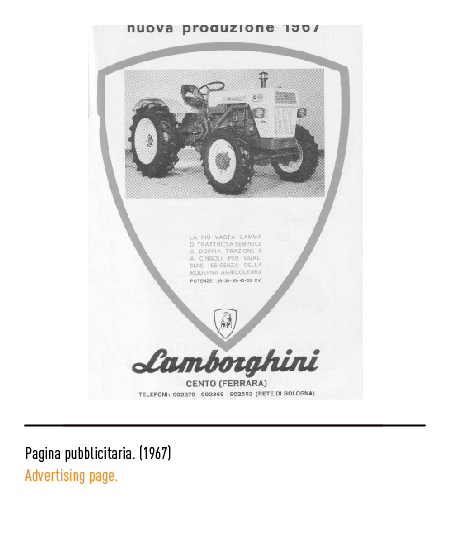 The historical department of the company and the brand “Lamborghini Trattori” was sold, in 1971, to one of the competitors, the Same. 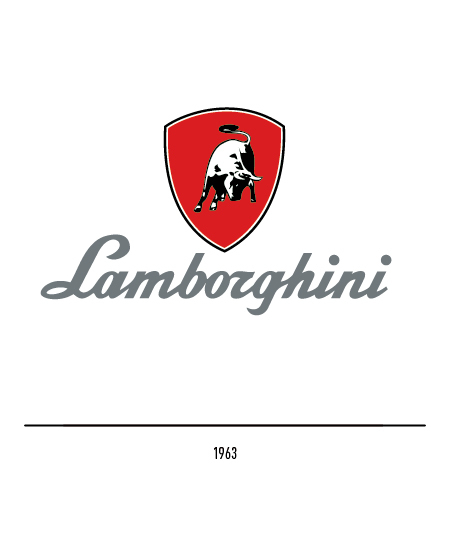 The first logo appeared in 1952, and it consisted of a triangle, inside which each one of the three sectors included the initials of “Ferruccio Lamborghini Cento”; due to the lack of any graphic rules, the logotype was represented with three different fonts. 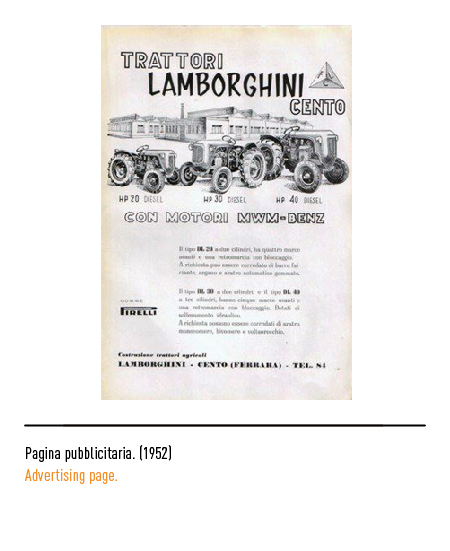 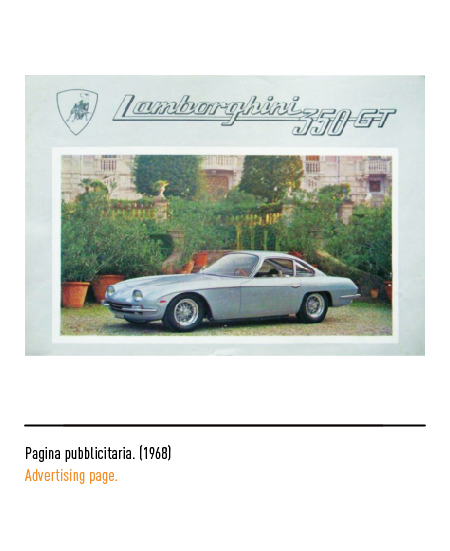 In 1959 the passion and the know-how of the owner pushed him to expand its production in the helicopter sector; unfortunately for him, but fortunately for all the car enthusiasts, the government did not approve his plan and Lamborghini decided to dedicate himself to the production of sports cars. 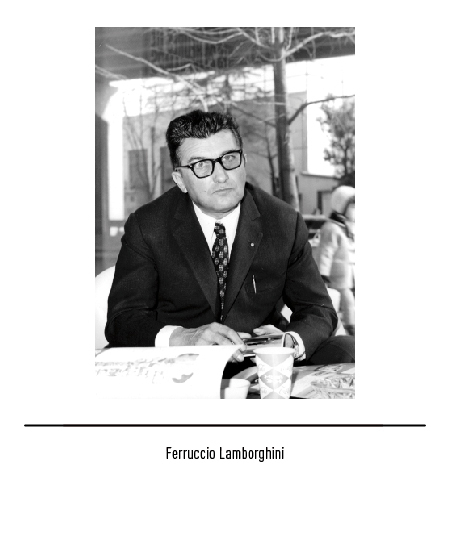 This event signs the date of birth of “AutomobiliFerruccio Lamborghini SpA”, founded in 1963 in Sant’AgataBolognes (Bologna); the big success behind this brand is due to the partnership with the great designer Bertone and the jet engine designer Bizzarrini. 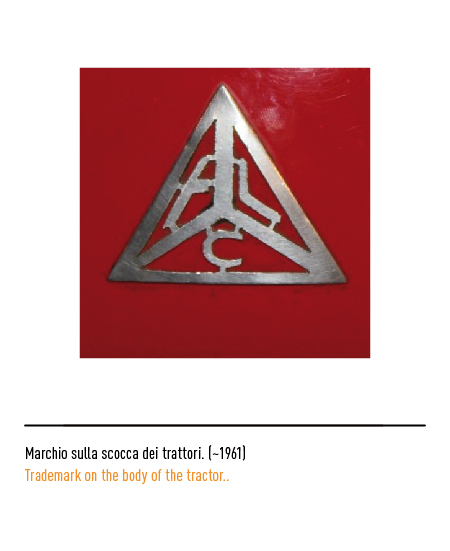 For this new branch, the creation of the logo (that would be used also on the tractors) was appointed to Paolo Rambaldi; he chose the bull, being it the zodiac sign of the founder and also a symbol of aggressiveness, represented in his fighting stance inside a red shield with black contour, and paired with the calligraphic logotype, as it was typical at the time. 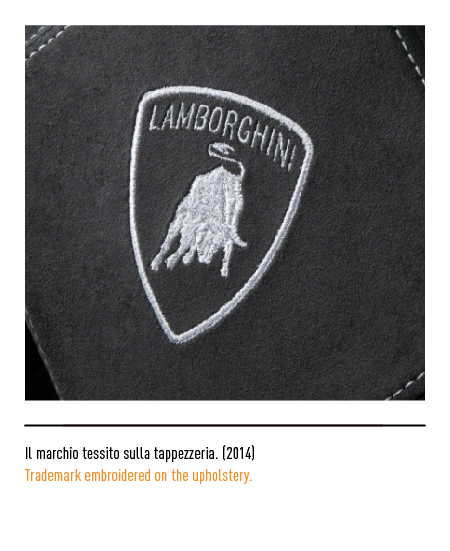 The legend fuels the competition between Lamborghini and Ferrari, represented also by the substitution of the rampant horse with the bull. 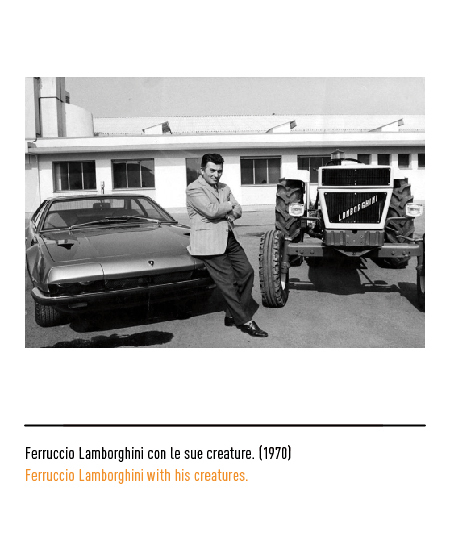 After the first models bearing alphanumerical names, as it was popular at the time, also the naming of the different models took inspiration from tauromachia: one example is the name Miura, which had been taken from the breed of corrida bulls bred by Don Fernando Miura Fernandez, of which Lamborghini also visited the establishment. 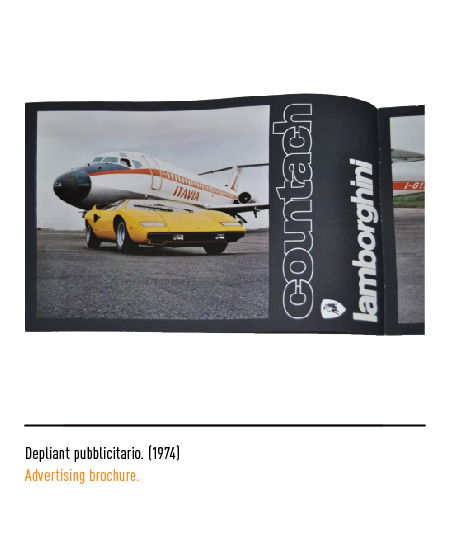 The exception to the tradition have been few, but meaningful: “Countach” is a surprise exclamation taken from the piedmonts dialect, and was used by Nuccio Bertone after seeing the prototype of their first vehicle. 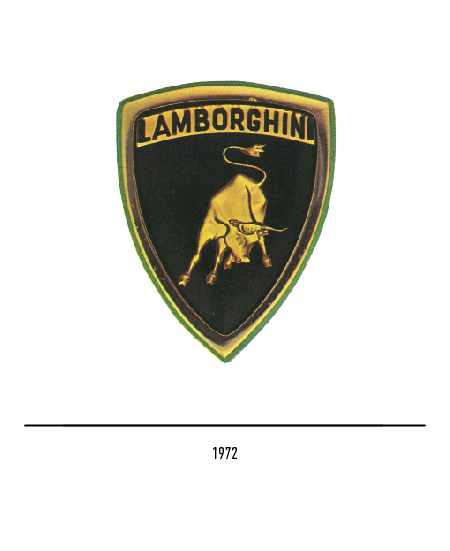 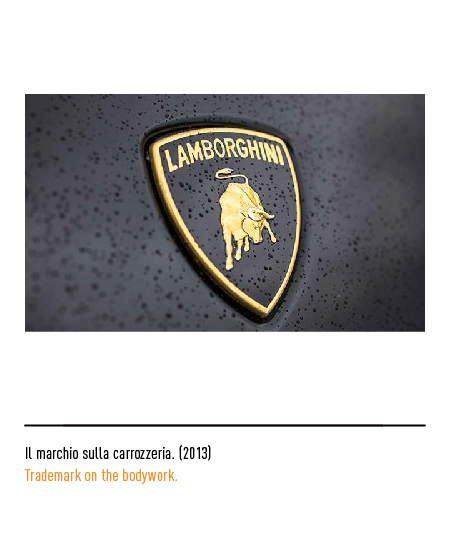 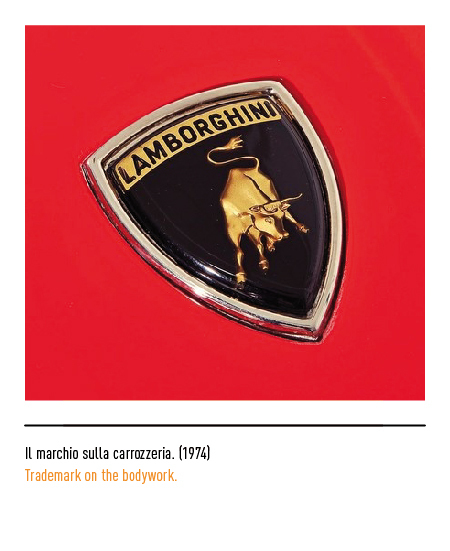 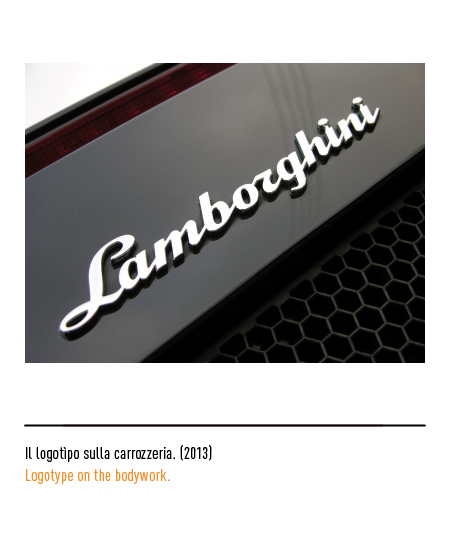 In 1972 the logo was restyled: the name Lamborghini, written in capital letters, was incorporated inside the shield through a yellow rectangle; because of the lack of regulations, the logo was sometimes displayed with the inscription lying outside the shield with a Univers Black Oblique font. 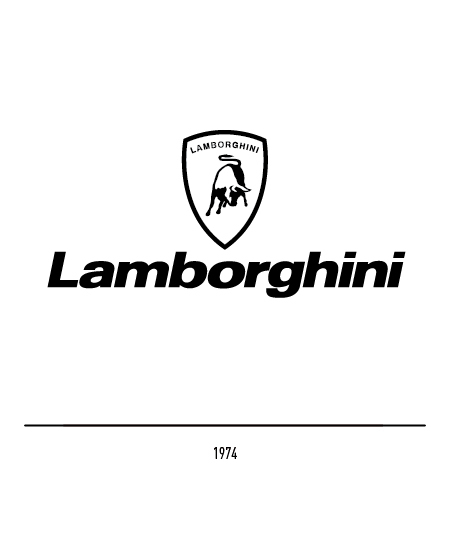 After years of family management, the oil and industry crisis of the mid ‘80s forced the owners to sell their stock to the Chrysler Group (1987). 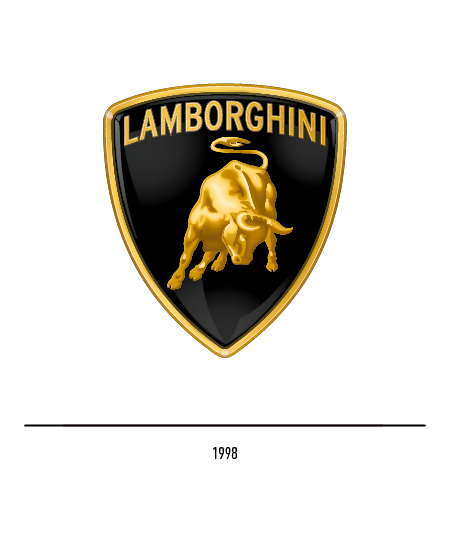 After being acquired by Audi in 1998, the challenge was that of reinforcing the appeal of the logo, bringing the legend of Lamborghini back to life; the restyling is appointed to the German agency KMS Team, which will modify the internal proportions of the shield and give a buffer appearance to the bull. 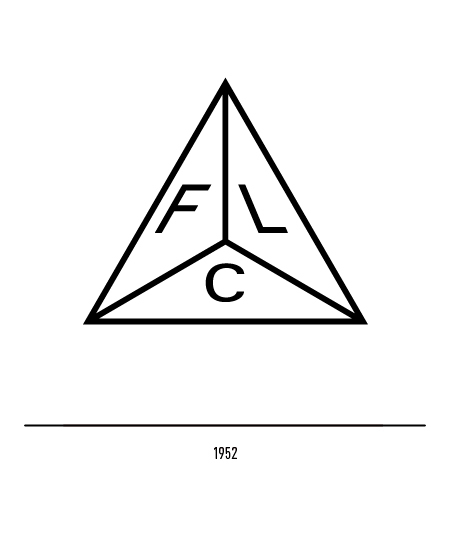 In some cases, the company is represented only by the logotype.